Steve Aoki, the DJ/Producer, among many traits also founded his own label, Dim Mak Records, in 1996. The label has released music by other electro house artists such as Datsik, Infected Mushroom, Dada Life, Zeds Dead, his own collaboration with Tiesto, MSTRKRFT, The Bloody Beetroots, Felix Cartal and Mustard Pimp, as well as by Bloc Party, Battles, The Kills, The Gossip, Klaxons, Scanners, Whitey, and Mystery Jets to name a few. The label has released over 250 records so far. 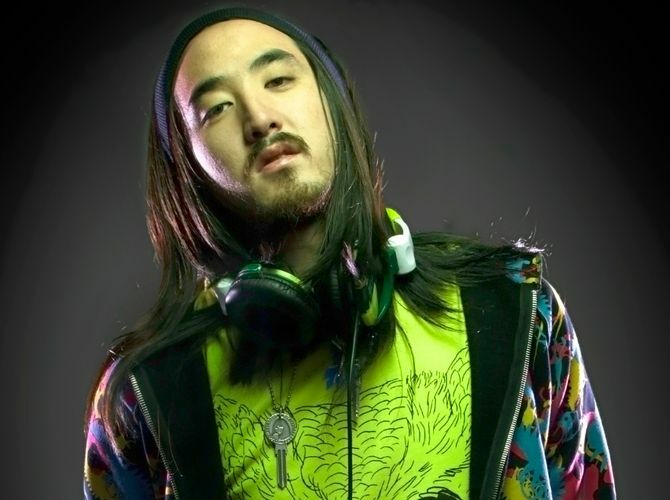 Aoki’s debut mix album, Pillowface and His Airplane Chronicles was released in January 2008. He also had an Essential Mix that aired on BBC Radio 1 on August 2, 2008. Aoki’s latest solo album, “Wonderland” was released January 2012 and features guest vocalists and musicians LMFAO, Kid Cudi, Travis Barker, Will.I.AM aka Zuper Blahq, Wynter Gordon, Rivers Cuomo, Lil Jon, Chiddy Bang, Lovefoxxx of CSS, Big John former guitarist of the punk band The Exploited, and others. Aoki has also been busy in the studio collaborating with other fellow producer friends and thus far has released singles with The Bloody Beetroots, Armand Van Helden of Duck Sauce, Afrojack, Laidback Luke, Tai, Sidney Samson, Tiesto. In his interviews, Twitter feed or from his YouTube channel, he has shown teasers or has discussed doing future collaborations with Diplo, Knife Party, Datsik, Chris Lake, Rune, Iggy Azalea, Angger Dimas, and Dirtyphonics. He has remixed many artists and bands, including Jackson 5, Drake, Kanye West, Eminem, Lil Wayne, Mike Posner, Girls Generation, All American Rejects, Refused, The Killers, Bassnectar, Lenny Kravitz, Bloc Party, Snoop Dogg, Robin Thicke, S.P.A., Kid Cudi, Chester French and Peaches. Through relentless touring he gained huge support from colleges. Performing an average of 250 shows a year, he has recently started touring with production via bus tours like the spring 2012 Deadmeat Tour he headlined over 55 cities in 60 dates across the United States and Canada. In March 2010 Aoki released “I’m In The House”, a collaboration with Zuper Blahq—alter-ego of The Black Eyed Peas singer will.i.am. The song charted at #29 in the UK Singles Chart in its first week of release. In May 2006, Aoki became a board member for MC5 bassist Michael Davis’ Music Is Revolution Foundation, a non-profit organization that provides music education support within public schools. Grand Prix Weekend Is Here!